At Bulk Buys, we provide a broad range of products including pet supplies, automotive supplies, toys and more. Our products are named for its durability and designed with the up to date needs with creativity and innovations. We always work towards to fulfill the requirements of our end users. Our products come with complete compatibility and reliability to cater the requirements. 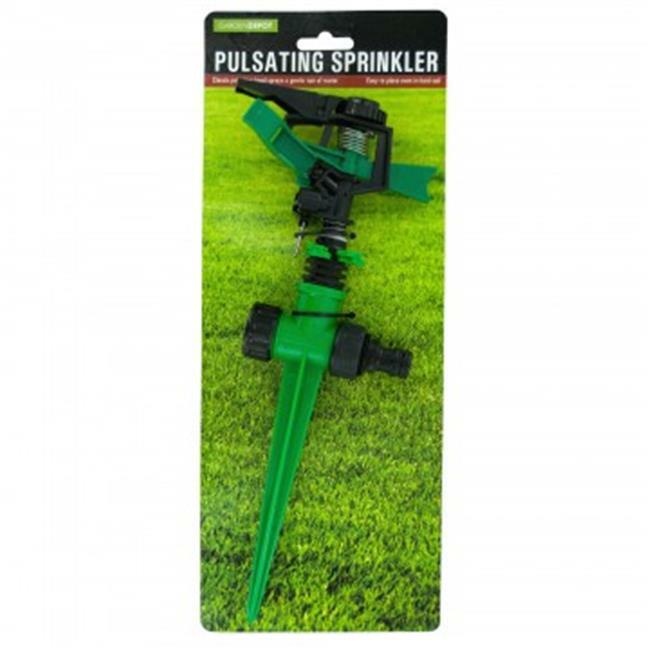 Easily care for your lawn and garden with this Pulsating Stake Water Sprinkler featuring a durable plastic sprinkler with metal springs and a pulsating head that sprays a gentle rain of water. Angle and distance of the spray can be adjusted to fit most watering needs. Sprinkler has a strong stake base that is easy to place even in hard soil. Measures 12'' long. Comes pack to a tie card.